Ferrari also collected the trophy for Britain’s Best Driver’s Car at the Autocar Award ceremony last night, an accolade which the 488 GTB won at Autocar’s traditional “Handling Day” test at Snetterton in October last year. The 488 GTB is Ferrari’s first mid-engined turbocharged supercar since the Ferrari F40 and retains that car’s extreme driving performance and excitement, while maintaining unprecedented levels of usability and practicality. 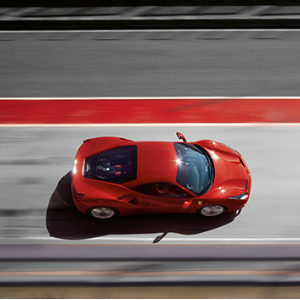 With the Ferrari Genuine Maintenance package that covers all major servicing costs for 7-years, the 488 GTB is a world-beating supercar that can be driven every day.